The Sydney-based media owner is to equip all its 8,300 out-of-home media sites in Australia, New Zealand, the US and the UK to support NFC, QR, SMS and augmented reality campaigns. 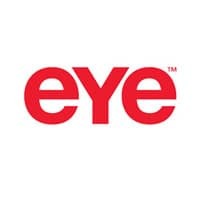 Australia-based out-of-home (OOH) media owner Eye has announced it has begun converting its 8,300 sites across Australia, New Zealand, the US and UK to support NFC, QR code, SMS and augmented reality-based advertising campaigns. The media sites — located at airports, shopping centres and universities — will use a new platform called Amplify, developed by Eye, which is designed to be technology-agnostic and to complement, in the US, its existing Bluetooth and WiFi-enabled offering. “With the exponential growth in smartphone penetration, advertisers recognise the power of mobile but the technology itself can often be the barrier to trial,” adds Jeremy Corfield, the company’s global commercial director. Eye plans to “progressively activate” the network from 1 June 2012. Launch clients in each market are currently being confirmed.